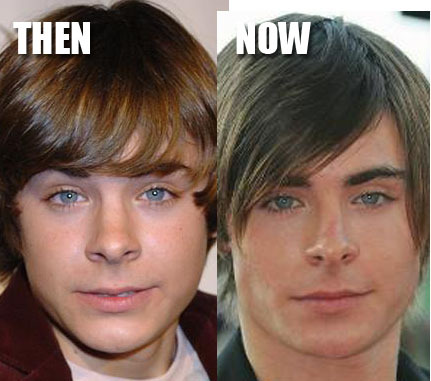 Zac Efron before and after plastic surgery, nose job? You might have heard about Zac Efron, the latest Hollywood poster boy who makes all the little ladies around the world woozy with passion and affection for his boyish good looks. 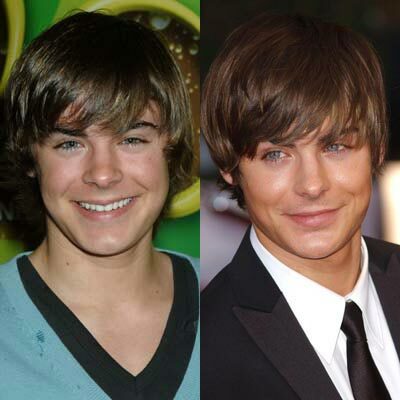 Zac Efron hasn't been on the scene for too long, however there has already been speculation about possible plastic surgery procedures for the young buck, and many websites are pointing towards his nose, citing a thinner redefined bridge and shaved down nostril tips. And while its rather easy to see in difference in these two before and after photos, this could also just be a result of aging, considering his young age while the before photos were taken. Perhaps a four or five year span. Do you think Zac Efron has undergone plastic surgery for a nose job (Rhinoplasty)? its probably from aging. from what personality he has, which is a good one, you can tell that fame hasn't affected him very much. almost all teenagers faces start to change when they become adults. their noses become more thin, eyes begin to squint and lips usually thin out. No way man! The dudes naturally got nice facial features! You're all dumb, show a picture from his side!